Sparrow & Vine ‘s primary focus is on producing tiny quantities of high quality wine that we source from an organically farmed vineyard in the Eden Valley sub region of the Barossa. The wines we make are low impact, hands off styles. Dare I say it, “natural” even. 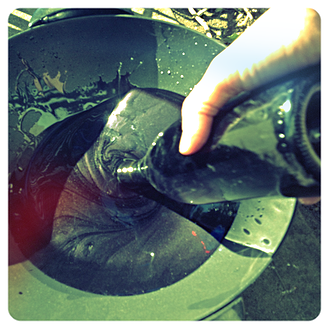 Production is in South Australia though we also make small quantities and do some bottling at out warehouse in Sydney. You can see some of the pics on what we do below. We also act as a wholesaler for a select few producers that we believe offer a similar outlook to life and wine. We also market wines under a number of other brands, these wines are sourced in bulk from other producers. These are more “mainstream” styles that I think offer excellent value for their regional styles. Sparrow & Vine is owned and operated by Brendan Hilferty. He’s been involved in the wine industry now for over 25 years, as a sommelier, retailer, wholesaler, writer, educator and enthusiastic consumer. He’s tried the great wines of the world – and the worst – and can usually tell them apart! I’m not going to sell anything I don’t think is up to scratch in quality and value. Trust me. 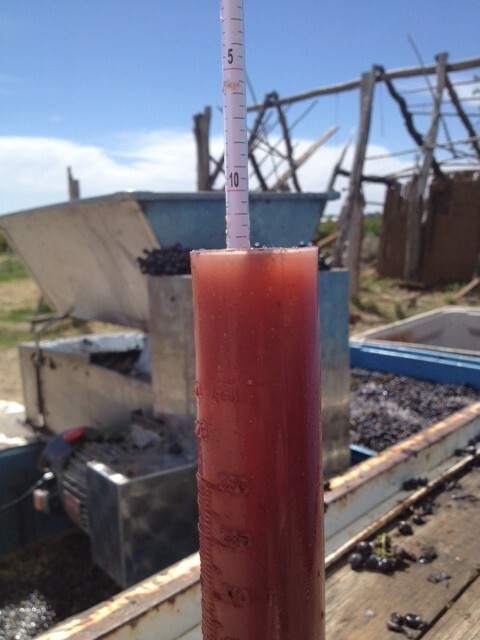 The sugar reading of the 2014 Grenache at crushing. Just what I wanted. 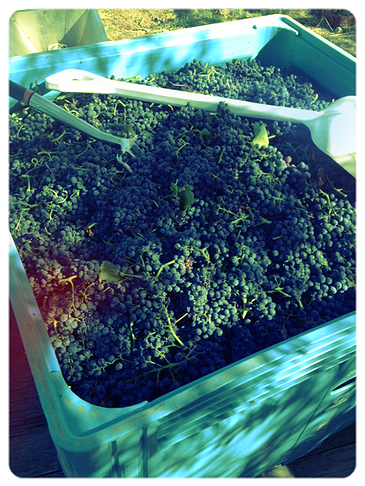 Hand picked Grenache for 2014 vintage.